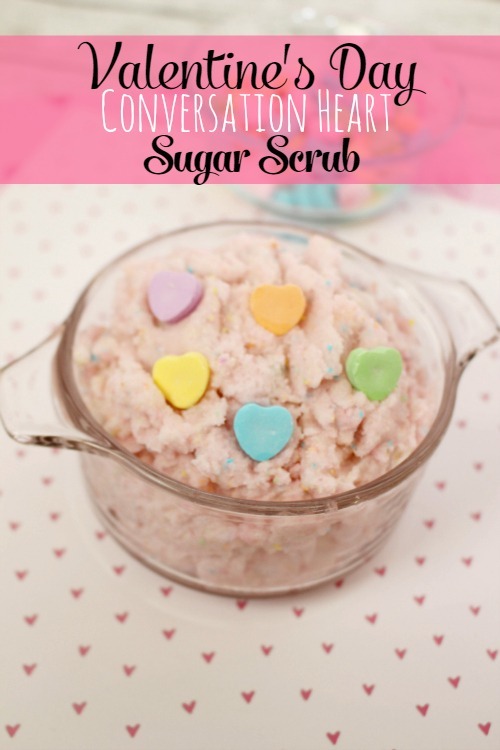 Today I am sharing a fun sugar scrub recipe using a popular Valentine’s Day candy – conversation hearts! 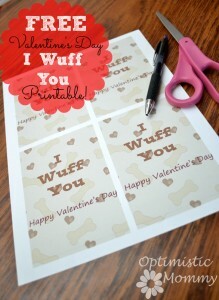 This would make the perfect gift for the sweetheart in your life. 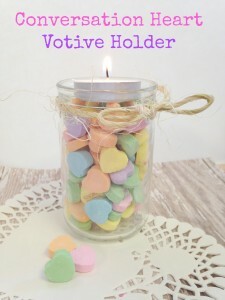 Simply make a batch and put in a cute mason jar, tie with a ribbon, and you have a great gift they are sure to enjoy! Add the vanilla extract and vitamin E oil (optional) and stir until well incorporated. 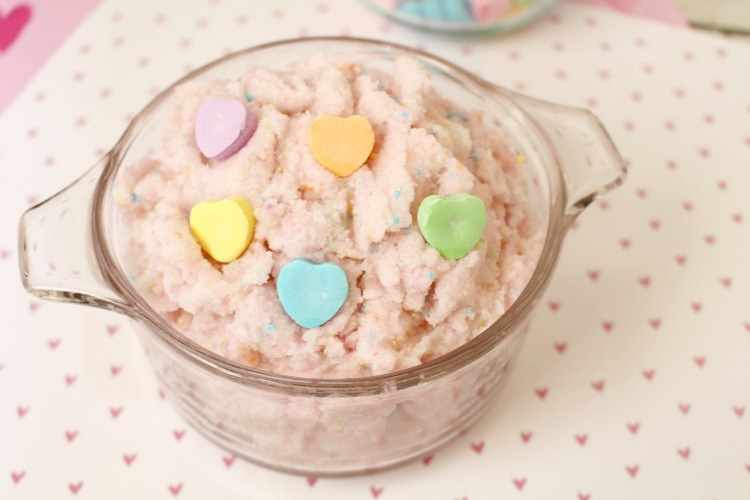 In a food processor, pulse the conversation hearts almost to a fine powder and add to the scrub. Stir well. 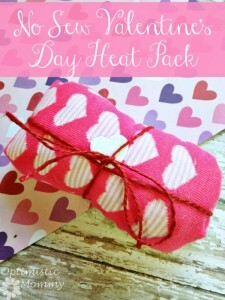 ** This exfoliating body scrub will keep for 2-3 months in a sealed container at room temperature. 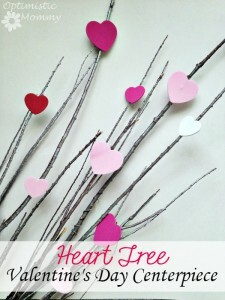 Here are some more great Valentine’s DIYs for you! 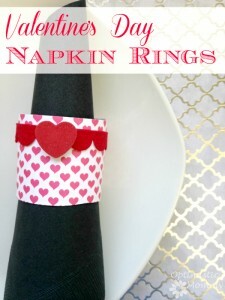 What a cute gift idea for Valentine’s Day!